Alex N. Grigorev is the Founding President and a Member of the Board of Directors of the Council for Inclusive Governance (CIG). He is also an Adjunct Professor in International Peace and Conflict Resolution at Arcadia University in Pennsylvania. Educated in history and international affairs and an expert on Balkan politics and ethnic relations, Grigorev, among his CIG duties, facilitates discussions of political and ethnic leaders in Kosovo and Serbia and leads programs on fostering democratic governance and minority inclusion. 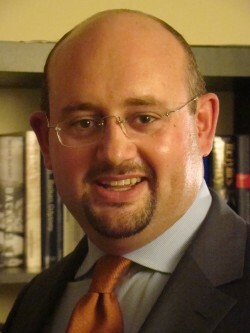 Prior to heading CIG, Grigorev was the Executive Director of the Project on Ethnic Relations (PER), a Princeton-based NGO where he developed programs on interethnic relations in Southeast Europe and the former Soviet Union and moderated discussions among political leaders in Kosovo, Macedonia, Montenegro, and Serbia. Before joining PER he was an analyst at the Calvert Emerging Europe Fund in New York City. Grigorev has been working in the Balkans since 1991 and is the author of numerous articles, essays, and reports on Balkan politics and interethnic relations published in the United States and Europe. He lectures in the US, Europe, and the Middle East on ethnic conflict, governance, and international relations. Grigorev holds degrees from Columbia University, the Central European University, the State University of New York, and Moscow State University.